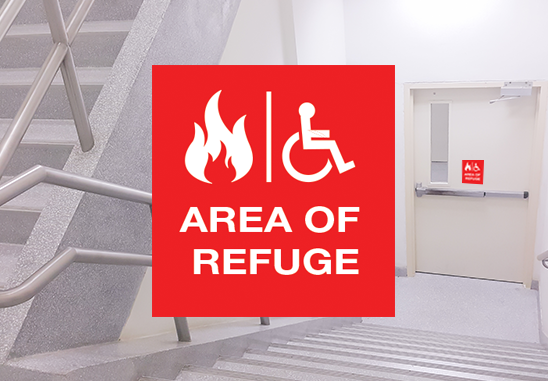 An area of refuge is a designated location within a building specially designed to hold people safely during an emergency. The area of refuge is set aside for situations when evacuation may not be possible or is otherwise unsafe. Who may utilize an area of refuge? What is required to create an area of refuge? As a company that installs and maintains fire alarm systems in businesses and public buildings, Safe-Systems has experience in setting up area of refuge communication systems. All Safe-Systems fire alarm systems meet the testing requirements from the National Fire Prevention Association. Public buildings and high-rise buildings are usually required by local building codes to have an area of refuge on every floor above ground level. Safe-Systems can help you meet local requirements and maintain your system on an ongoing basis. Call 1.800.446.7519 to learn more about fire alarm and area of refuge systems. A live operator is ready to take your call, listen to your needs, and recommend an option that works best for you.